June 2013 NLE Results will be out in 2 weeks? Home » Featured » NLE » NLE 2013 » PRC » PRC Board Exam » June 2013 NLE Results will be out in 2 weeks? 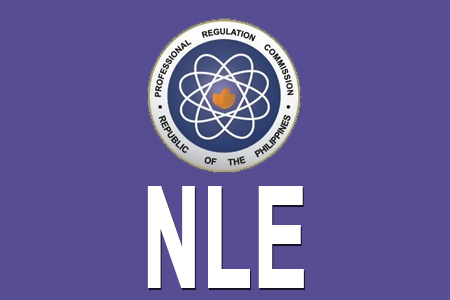 The Professional Regulation Commission (PRC) gave the Nurse Licensure Examination in various testing centers nationwide on June 2 and 3, 2013. June 2013 NLE was given in the cities of Manila, Baguio, Cabanatuan, Cagayan De Oro, Cebu, Dagupan, Davao, Iloilo, Laoag, Legazpi, Lucena, Pagadian, Pampanga, Tacloban, Tuguegarao, and Zamboanga. A total of 38,656 examinees of Nurse Licensure Examination (NLE) who could expect an earlier release of results. The releasing of results usually it takes 37 working days after the last day of exam. But now you can expect in just 2 weeks, according to the insider source. Because according to him, the number of examinees are lesser than the last year NLE examination. Hoping and praying that there will be more passers on June 2013 Nurse Licensure Examination - NLE Results. And hopefully that PRC will release the results in much earlier date and time. Updated: July 8, 2013 - 16,219 out of 37,887 passed the Nurse Licensure Examination given by the Board of Nursing last June. PRC released the June 2013 Nurse Licensure Examination results in twenty-four (24) working days. For the meantime, If you feel that this details are informative, please bookmark it now or visit this site more often for you to be updated. You may also share this post to your friends so they may know about the releasing of June 2013 NLE Results in just 2 weeks. Comments or suggestions about "June 2013 NLE Results will be out in 2 weeks?" is important to us, you may share it by using the comment box below.